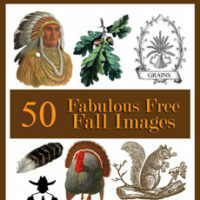 Today we have a beautiful Free Printable Fall collage sheet for you inspired by a walk in the woods! 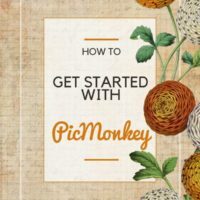 These are some favorite antique nature images from The Graphics Fairy site. 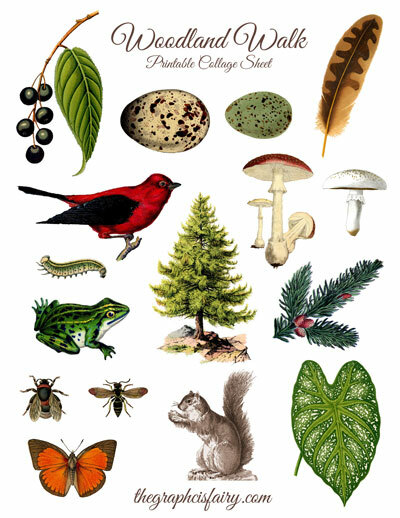 Use this high resolution 8 1/2″ x 11″ collage sheet for your decoupage projects, scrap booking, and fall nature crafts. Click the link after the image for the full size PDF printable. Enjoy! Please feel free to share this collage sheet, linking back to the entire original post on The Graphics Fairy site. The Graphics Fairy address may not be removed from the sheet and this collage sheet may not be resold. This is a gorgeous collection, Thank you! Thank you!!!! 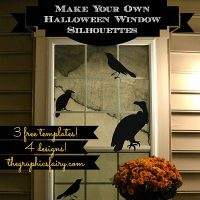 I will use these on my crafts! Double thank you! Like the bits of this and that. Thank you for putting this collage together – it shows me a different way that your computer graphics can be put to use. Also, thank you for giving us all the links to the different items in the collage ~ I’m sure it was a lot of work, and it’s very much appreciated. very generous of you – it’s lovely – thank you! I love this! Thank you, Karen! Thanks for these wonderful images! You are so kind!